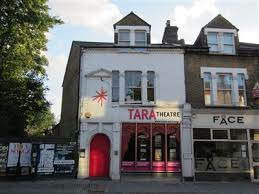 When I first moved to Earlsfield in 2008 I discovered that many of my friends and colleagues had never heard of it, let alone knew where it was. My initial descriptions of the ward I now call home were often along the lines of, “It’s the stop after Clapham junction / before Wimbledon”, or “It’s the bit between Wandsworth Town and Tooting.” This was often met at best with a vague pretence of recognition or at worst confusion with Earls Court. A key cultural highlight of Earslfield, Tara Arts has recently celebrated its 30th anniversary. Performances range from world theatre to monthly comedy nights, which are not to be missed. Plans are currently underway to expand the site, including the development of a community garden. They will be touring in various ‘pop up’ sites in Earslfield throughout 2014. 2. Weekly car boot sale at Plough Lane Stadium. 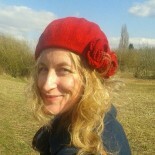 I love a good bargain and there are plenty to be had at the Sunday car boot sale on Plough Lane. When I say that you can buy anything there it’s pretty much true: from vintage furniture and clothing for trendy types, to electrical parts and spanners for practical types. There is also a market to stock up groceries and plenty of mobile cafes to warm yourself up with a hot chocolate or bacon roll afterwards. Not every high street can boast a Korean restaurant. Well Earlsfield can! If you’re a Korean novice, the friendly staff are on hand to talk you through the menu, including the popular BBQ. What’s more, you get free appetizers to whet the appetite and it’s BYOB so you don’t need to break the bank. If you’re veggie I definitely recommend the courgette starter. 4. Amaranth Thai, Garratt Lane. Sticking with the oriental theme, Amaranth Thai is another locally run business that offers not only a restaurant but also a Thai supermarket and takeaway. It’s perfect for stocking up on wasabi peanuts and they supply free recipes to help you buy the right ingredients for a perfect curry. 5. Wandsworth Cemetery, Magdalene Road. Need a place for quite reflection? Wandsworth cemetery provides a peaceful place to contemplate the meaning of life whilst admiring the gravestones and the aggressively austere Victorian architecture of Wandsworth Prison, which looms overhead. You can also stop by the Magdalene Road Flower stall at the south entrance on your way home. Not just a lender of books, the Earslfield library plays host to a number of local groups, from knitting circles and local history clubs through to yoga classes You can hire DVDs, read the daily papers or take advantage of the free internet access. 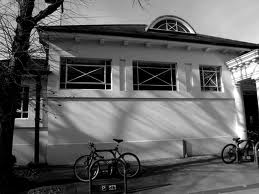 It is also a fine example of early 20th Century architecture and very beautiful to just look at. 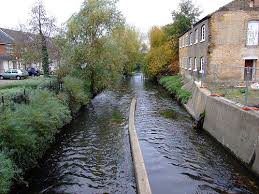 Once the engine of Victorian industry, the River Wandle today looks more like a gentle stream meandering behind Garratt Lane from its source in Croydon down to the Thames. It has been cleaned up in recent years, and you can now often see heron poised motionless on its banks. 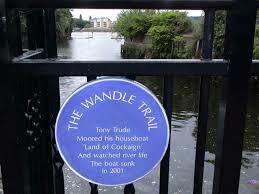 The Wandle Trail is a popular day trip for walkers, while the locally brewed Wandle Ale is popular among drinkers. I love the story of the Garratt Mayor. The ‘elections’ of the Garratt Mayor became a popular attraction in the 18th Century, pulling in crowds of up to 80,000 people from across the Borough and beyond. The mock elections, which fielded local candidates from cobblers through to wigmakers, became a forum for poking fun at the political establishment of the day. From what the records tell us, it also provided the occasion for a monumental drinking session. If you want to know more, what better excuse to visit Earslfield’s oldest pub, The Leather Bottle, which used to host the elections. 9. The Cats of Earlsfield. No, this isn’t the name of the pub. I’m actually talking about the many cats that roam the streets of Earslfield and were made famous by former Earlsfield resident, Louis De Bernieres, in his radio play, Sunday in the Centre of the World. From black to ginger, short hair to fluffy, you will find you’re never too far away from a friendly feline keen to rub against your legs or invite you for a stroke. I admit this is not somewhere I’ve been to myself (I may be too old) but I thought it was worth a mention as I have often observed parents fleeing with delight after depositing their children there for a party. They almost look as happy as the princesses and superheroes who emerge from the ball pit a couple of hours later. So are you an Earslfield resident? What’s in your top ten? Please reply to share your gems and help put Earslfield on the map! I have lived in Earlsfield for 38 years so it has always been on my map! It didn’t need restaurants and such to be a good place to live. Easy access to Waterloo has always been one of its major assets. This entry was posted on January 26, 2014 by rachaelstokes.